The patriotic season is just around the corner. Memorial Day, Flag Day and Independence Day are all quickly approaching. Now is the time to show your pride and celebrate America. And what better way to do so than with brand new patriotic banners and flags from Downtown Decorations. Clients can choose from a wide variety of stock designs in our catalog or work with our expert design team to create a completely custom banner or flag. 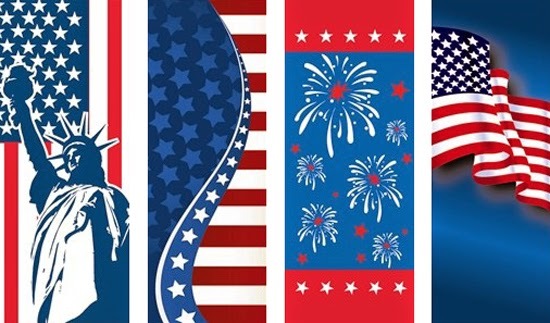 There’s no better way to get the perfect Flag Day Decorations, Memorial Day Banners and more! Stock colors and sizes can also be modified to meet specific needs. In addition, Downtown Decorations offers a wide selection of banner enhancers to add some light and enrich the décor in a nighttime setting. 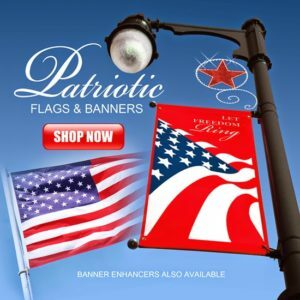 For more information on patriotic banners and flags, visit the Downtown Decorations website or call 877-324-9559 to speak with a representative.